This week: Buki Brand launches a new collection, The Runway hosts a plant party, and fresh looks come to Sassafras. People, let us introduce you to the hipster houseplant, presented to you by none other than The Runway from 6 to 9. Join fellow Seattle friends, or bring out-of-town pals, and celebrate this Hump Day in style. The succulents and dirt will be provided, but bring your own pots, please! Sip some cocktails while you're at it. And, as if we haven't given you enough reason to go, there shall be flash tattoos offered (real and temporary). DJs will be pumping tunes throughout the evening. Check the website to stay tuned for more details. Come celebrate the Less Labels, More Sizes Trunk Show at the downtown REI. Check out the selection of women's activewear in sizes 16W to 3X. Stay and be inspired from guest speaker Mirna Valerio, author of A Beautiful Work in Progress. Chat with Columbia, Brooks, and REI designers about your recommendations for outdoor clothing and all the things you want to see in stores. They want to hear from you! Welcome to June, folks! 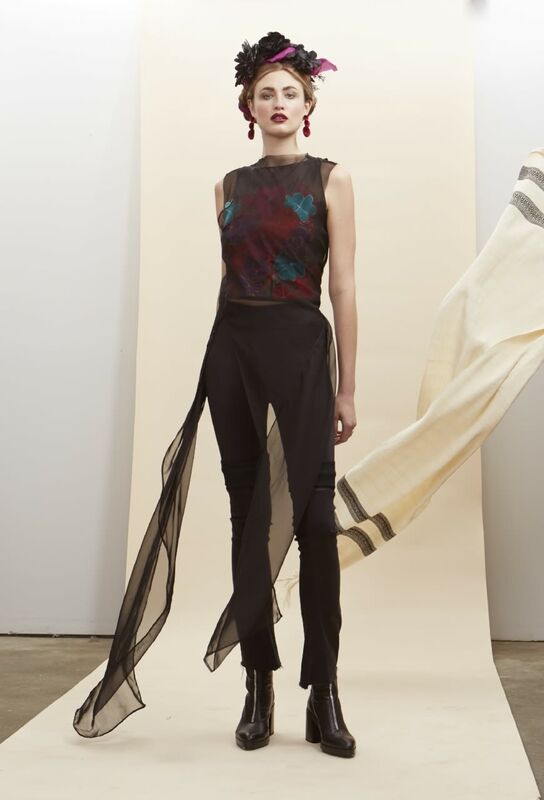 Celebrate the beginning of summer this Friday and Saturday at the Paloma Hurtado Release Party, showcasing designer Paloma, who uses ancient techniques and raw organic materials from Mexico mixed with the Northwest lifestyle. Check out some samples from the 2017 Independent Designer Runway Collection. And check out this year's new summer collection, enjoy the best of both. Wander over to our friends at Sassafras on either day and start preparing for all those long summer days and nights ahead by getting some new additions to your wardrobe. (And if you need more summer inspiration, mosey on over to our Met Set: 5 Must-Haves for June.) Enjoy a glass of wine at the reception on Saturday from 4 to 7. A boat ride away on the island of Bainbridge local artists and artisans from across the Puget Sound will be presenting work in all sorts of media, from jewelry, woodwork, wearable art, and more at the Bainbridge Island Museum of Art. This Saturday and Sunday at 10 to 6, enjoy a morning or afternoon adventure and see the works of artists like Anthony Piazza of Bainbridge Island Woodworks, and Amy Bush of Loyalsmith, to name only a few. Check out the link for the full lineup. The Seattle-based line of luxury technical clothing has exciting news: They're releasing a first-of-its-kind collagen-embedded capsule collection! Yes, bring on the softness. Buki crafts super soft clothes that also moisturize and protect the skin.